This best selling 7-page spreadsheet will track your website's growth over key business areas such as website traffic, social media, email list, revenue, media mentions and affiliate programs. Don't get overwhelmed by all the data - the charts and graphs make it all visual and easy to understand! These spreadsheets are a must for anyone running a website or looking to grow their online business. Spreadsheets work on Mac & PC computers and the spreadsheet file can be opened with Excel, Google Sheets, Apple Numbers, etc. 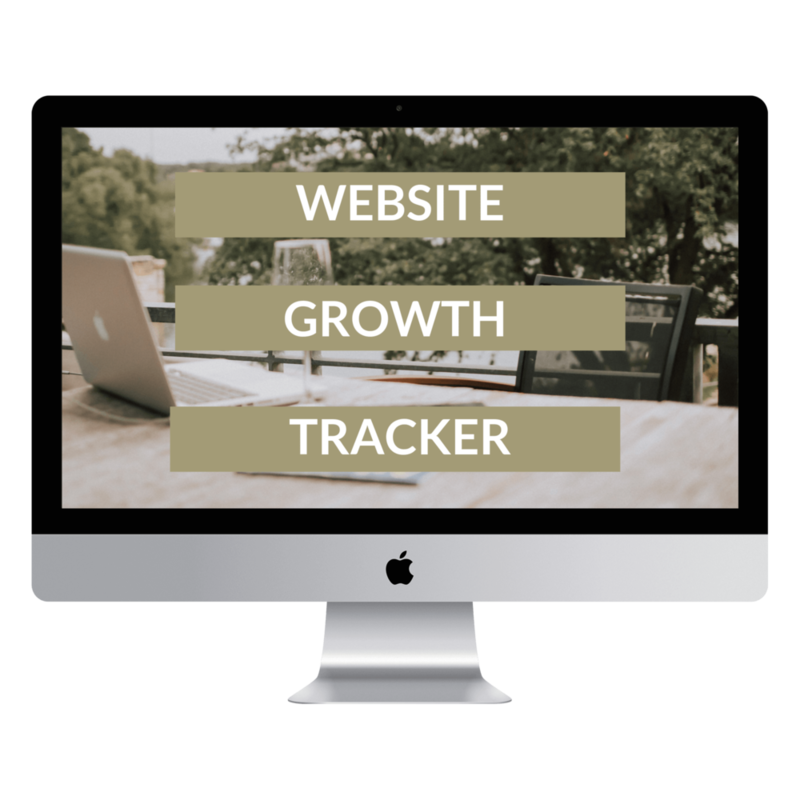 Click here to learn more about how to use the Website Growth Tracker and watch the video tutorial! There are so many ways to make money through your website or online business and this 8-page spreadsheet will track your income and expenses in a visual way! We cover actual and projected income from products, services, affiliate and advertising programs, and sponsored content PLUS track expenses. These spreadsheets will keep you focused and motivated as you reach your income goals. Click here to learn more about how to use the Income Tracker Spreadsheets and watch the video tutorial! Don’t get lost in the crowd or left behind by your competition - make sure your Squarespace website stands out. Best of all? You don’t have to be an internet-obsessed, website-junkie wunderkid to make it happen! It’s easier than you think and you’ll see real results faster than you could have ever imagined #truth. 8 modules, 5+ hours of video content, 2 bonuses, tech trainings, and so much more! Thank you! Check your inbox to confirm your subscription and you’ll receive the free Squarespace SEO Checklist right away.